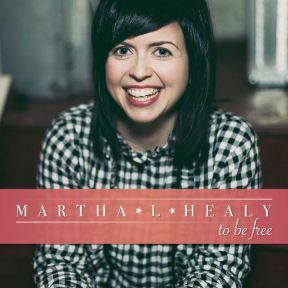 Glasgow, Scotland native, Martha L Healy is a vocalist who I'm finding it difficult to compare to anyone else. That individuality is what first attracted me to this all too brief 12 minutes of music and after a couple of listening sessions I was hooked on these four songs that pretty much sum up where her musical tastes lie. Of course there are also the tremendous arrangements that get the best out of Martha's own two original songs as well as the versions of Walkin' after midnight, a song made famous by the late Patsy Cline and a gorgeous version of Hank Williams I saw the light. Whilst her vocals may not have the purity of Dolly and Emmylou, her voice is beautifully feminine, expressive and with an incredible dynamism that is able to express both tenderness and edginess, something most of her 'peers' lack the ability to do. Perhaps she even has some of the characteristics of Patsy Cline in her ability to make other peoples songs her own? She released a full length Nashville recorded album 'Better Days' in 2014 and although having not yet heard it, on the strength of these four songs, I will be endeavouring to put that right in the not too distant future! The disc was produced by Johnny Smillie at La Chunky studios, Glasgow and the musicians who helped out were Martha herself on acoustic guitar, lead vocals, hand claps and percussion, Paul Healy, backing vocals, the beautiful fiddle playing of Rebecca Brown, Sean Thompson plays banjo and David O' Neill plays upright bass. As the instrumentation indicates there is a strong 'Americana' rootsiness in Martha's music that gives her a distinctive all round sound and one that has a large dose of originality. Her two beautifully written songs, To be free and Too much time, blend well with the two covers thanks to the arrangements of all four songs having a similar instrumentation and being performed in Martha's style rather than trying to stick too closely to the originals. It seems to me that if she can keep to this relatively sparse sound that allows her own excellent originals and the 'covers' breathing space, the all round dynamism of her music gives her a tremendous chance of building a successful career on the 'edgier' side of country music. The danger (if it can be described as such!) is that one of the major labels could very soon recognise her talent, pick her up, immerse her in the 'Nashville sound' and remove her originality, consequently losing her in the crowd. As far as my ears are concerned that would be a real shame.